A 5-minute drive from Terminal 21 Shopping Mall, FX Hotel Metrolink Makkasan provides great access to other areas of the city as it is located next to Petchaburi MRT Subway Station.It offers free Wi-Fi, free parking and an outdoor spa pool. The property is a 5-minute walk from Makkasan Airport Rail Link Station. 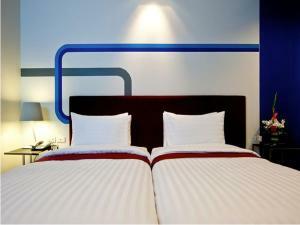 It is a 10-minute drive from Central Plaza Grand Rama 9, Platinum Fashion Mall and Pratunam Market. 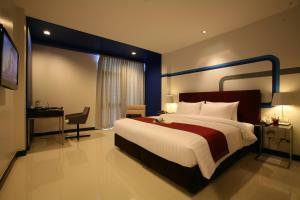 Tastefully decorated rooms feature modern interiors and warm lighting. Each has a flat-screen TV, personal safe and minibar. 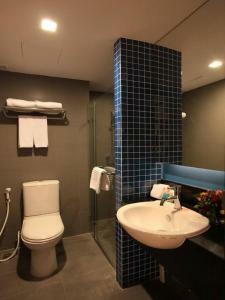 Included in the en suite bathroom are shower facilities, toiletries and a hairdryer. Available for all-day dining, Metro Café Coffee Shop serves a fine selection of Thai and international dishes. Guests can stay active at the fitness centre. The hotel also provides meeting and banquet facilities suitable for business and social gatherings. 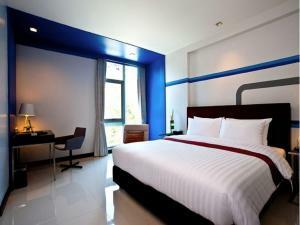 Air-conditioned room features a flat-screen TV, minibar and shower facilities. 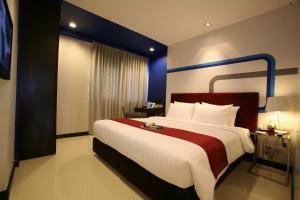 Rate: THB 1590.88 ... THB 2556.00; select dates below to get current rates. 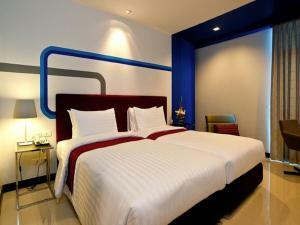 Offering additional living space, this air-conditioned room features a flat-screen TV, minibar and shower facilities. Rate: THB 1895.62 ... THB 2519.53; select dates below to get current rates.